Inogen One G4 is a portable oxygen concentrator that is prescribed for OSA patients that require supplemental oxygen therapy. The concentrator delivers a high oxygen concentration and is used together with a nasal cannula that helps transporting the required oxygen from the main unit to the patient. This portable oxygen concentrator is suitable for in home use, as well as for travels and also hospital use. According to the press release issued by the manufacturer, the Inogen One G4 is the lightest and also the smallest POC ever produced by this company. The concentrator weighs only 2.8 pounds, so patients can easily move around the concentrator in their home environment or carry it along on their travels. The device also comes with a stylish carrying bag with comfortable shoulder straps, so that patients can wear the POC wherever they go. The carrying bag is an optional accessory. The Inogen One G4 portable oxygen concentrator has been designed to help patients regain their independence. Living with a supplemental need for oxygen on a day by day basis makes it difficult to lead a carefree everyday life. Thank to great advancements in technology, it is now possible to enjoy your active life with the help of the Inogen One G4 POC. The concentrator is capable of delivering up to 2.7 hours of oxygen on a continuous basis, while running on a 4 Cell Battery. By using the 8Cell battery, the device will deliver continuous oxygen for up to 4.30 hours. The system is extremely compact, and provides a quiet operation. The device is built to offer the most intelligent oxygen delivery for patients struggling with breathing difficulties. Inogen is a leading manufacturer of a vast range of portable oxygen concentrators. The greatest majority of the users give the Inogen line of POCs a rating of 5 out of 5 stars. Users know the Inogen portable oxygen concentrators are the most reliable, portable and efficient devices one can purchase for an affordable cost. Before purchasing any type of oxygen therapy unit, it is important to read a reliable and unbiased Inogen One G4 Review 2017. This way, you can make a well informed decision which is an important consideration when buying such life-saving devices. One of the biggest advantages of the Inogen One G4, as rated by users is the way it helps promoting an active lifestyle. The device is extremely stylish, compact and lightweight so it allows users to run daily errands while carrying the device which is almost unnoticeable. Patients do not have to worry they will run out of oxygen while performing chores, or taking a long walk. The Inogen One G4 is rated as one of the most reliable POCs in its class! From this Inogen One G4 review you will also find out that even though the device is extremely small, it is quite powerful. It is the smallest POC you will find on the market, but it is designed to operate seamlessly on a 24/7 basis. This means top reliability. 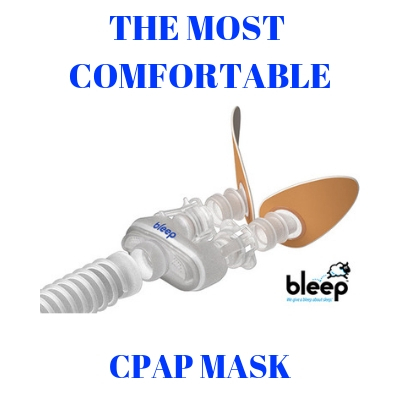 You can use it to get required therapy while you sleep, and you can use it the same efficiently to receive therapy while on the go or running errands in your home. Also, the quiet operation of the Inogen One G4 portable oxygen concentrator allows you to enjoy a restful night of sleep. The concentrator will also not disturb your bed partner. I do believe all of the ideas you have presented in your post. They are very convincing and will certainly work. Still, the posts are very quick for newbies. Could you please extend them a bit from next time? Thanks for the post. I have the g3 and its great, I usd to have oxygen bottles and this was definitely a great upgrade fro the bottles. Then the g4 came out,omg!!! It is the best purchase I made in a long time. Lightweight, quiet great. Unfortunately, to new to be covered by insurance. I also eliminated the canula during the day, I purchased oxyview glasses, oxygen comes through the frames and down the nose piece into 2 tiny tubes that go into your nostrils. (I dont wear glasses, lense are clear. You can have perscription lenses put in. If you have to use oxygen,and you can use pulse, his is the only way to go. I hope they come out with one this size that goes to a 4 setting. Love it!!! I have the G4 and I, too would like it if they came out with one that went up to a 4 setting. If the Inogen One G4 portable concentrator was a 4 setting machine instead of a 3 setting machine it would have to be larger to accommodate the additional Sieve material necessary to increase the flow rate. Prior to 2016 the Inogen One G3 was only a 3 setting machine and then was increased to be a portable oxygen concentrator capable of going to a setting of 5. I’ve had an Inogen One G3 with two 16 cell batteries since April 2014.. It required service sometime in 2015, and cylinder replacement which I did myself in May of 2016… It has been a life saver… I’m able to travel with confidence that I won’t run out of Q2.. Only once did the airline threaten to not allow me to board (out of Ft. Myers) because I didn’t have their “certificate”. Oddly I had flown their airline out of Norfolk to get to Ft. Myers 10 days earlier without a problem.. We came to the agreement that I wouldn’t use the O2 on board… and yet the airlines I’ve flown before want you to have 1.5 times the length of the flight in O2 reserves, assuming the O2 is being used on board– thus I have 2 8 hour batteries……..Be prepared! .. I’m now looking into a G4 model because the weight of the G3 with a double battery is getting to me.. I wouldn’t have been able to travel and even ski in Vermont (2015) without the Inogen One G3.. I made a back pack type carrier out of mesh so the unit could breath while I could be hands free and not fighting the over the shoulder strap that fell off if I bent over.. My hands are small and not strong.. I could not pick up the unit without using two hands which was inconvenient, so I made a simple cord harness for the unit allowing me to lift it with one hand.. All in all, it is a product that I couldn’t imagine being without. It has given me a freedom I would not otherwise have..
Review on inogen g 4. I purchased a G4 in oct.2016. It has only been used about 40 hours, it has stopped putting out oxygen unless you turn it off & on twice. Sent it in for a replacement and was sent a used unit that doesn’t work at all. It’s on the way back today. I loved the smallness of the G 4.just guess whoever works in returns had a bad day to actually send an unrepaired unit out. I feel like replacement unit should be new for the 2,500.00 it costs. The one had dried coffee & food where the battery goes. I do love the unit if they get this return right. You should never accept that type of service. If you had purchased the Inogen One G4 from SleepRestfully.com that never would have happened. You need to raise your voice and make them correct the problems. I am skeptical on this machine. I am on 02, 24/7 some times using 3 & 4 liters. The 1st question I have does Medicare and AARP cover the cost of your machine? If not, what are the monthly payments? Let me make this very easy. The Inogen One G4 Portable Oxygen Concentrator will ONLY go up to a setting of 3. If you are using 3 and 4 LPM this portable concentrator is not for you. The Inogen One G3 Portable Concentrator goes up to a setting of 5 so it may be a better choice. If you are currently on oxygen from a company no one can provide you a portable concentrator through Medicare and your secondary AARP. You will need to pay out of pocket. We do not have a payment plan however we can assist you in having PayPal finance it for you if you have an account or set one up. They also have 6 months no interest. Please call us toll free at 866 923-2727 and we will gladly assist you with a portable oxygen concentrator and find the right one for you. I swear I’ve been all over the internet looking for the answer to how many liters I use on the home unit and the practicality of g3,or,g4 as a portable substitute. Thank you Charles because I think your comment addresses issues sellers won’t post on their sites!!! Wondering if anyone is using the G-4 to help w/high altitude sickness??? I get high altitude sickness now when we go to our cabin in Northern Calif. 5000ft. It starts when we arrive and I get serious headaches, feel sick, and can’t enjoy my visit. It’s caused me to crash my bike, fall on easy ski slopes, etc. Last time I ended up in hospital…. Dr. thinks sleeping w/oxygen for 1st few days my help me acclimate to altitude.